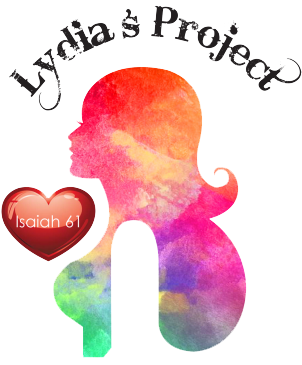 The Lydia Project is a program designed to educate, equip and prepare women to become self-reliant on their ability to utilize their creative gifts and talents as a means to develop grass root or micro businesses. They will learn strategies necessary for becoming successful business owners. They will be taught how to develop proposals, produce an income base, and promote business ownership, business management and/or business expansion. The Lydia Project, is designed to teach and train participants, increase knowledge and skill sets needed to become self-sufficient and/or self-employed. This income generating project is created to aide and assist women with support, thru our annual women outreach platforms. Our goal is to aid women in overcoming their barriers by destroying the cycles of codependency to the welfare systems which ultimately leads to generational poverty. By partnering them with women of influence, Educators and Life Coaches (which are all qualified in their specified fields of expertise), they will learn firsthand from other Christian women how to become self-sustaining and self-sufficient. It is the purpose and goals of The Lydia Project to produce self-sufficient, independent micro business owners and/or provide support to grass root projects. It will serve as a conduit in renewing their faith, strengthening their relationships via networking, and increasing their spiritual awareness by implementing spiritual principals of stewardship. The Lydia project will rebuild confidence in women that had lost all hope of ever being happy and accomplished within themselves. This renewal of mind will benefit and strengthen their children, their families, their relationships and their communities. The long-term goals will have positive outcomes for their generation and will help in breaking the generational cycle of poverty which is the number one contributor to violence and abuse. By teaching and training women to rely on their God given abilities and talents they become equipped to overcome the barriers and dependence on social systems that are designed to keep them in a state of poverty both mentally and physically. It is our hope to meet the challenges of breaking the cycle of generational poverty, restore dignity, self-respect, and confidence while re-building family and community. The objectives to the Lydia Project program is to change mindsets and behaviors, restore trust, provide support during and ongoing. The program is designed to teach personal development, family values, health and wellness, physical, emotional and spiritual wellbeing, financial literacy, stewardship, commitment, marketing and business acumen.